Despite being very well-behaved, your dog may lack in proper peeing habits. You may not have any other complaints with them, but this one. 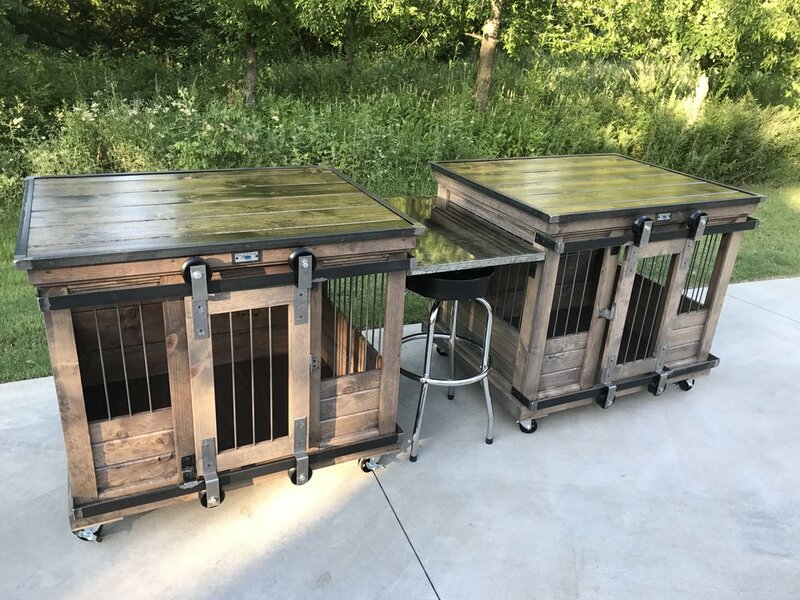 The crate, where you have made all the arrangements to give your dog a little personal space, could be the place where it pees. It is indeed annoying to find the newly purchased Stylish Dog Crates stinking from the dog’s misuse of it. You have to understand one thing before you get angry with your dog for this behavior. The crate is considered a dog’s den and it never spoils its own territory, generally. What is the matter with your dog then? Here are some facts and tips to make your dog adopt correct peeing habits. It is not possible for you to know for sure whether your beloved pet is suffering from a disease or not for which is causing them to pee in the crate. A urinary tract infection or any trouble in the back could be the reason. Take them to the vet to check if there is anything wrong or not. Make sure you have all the information about the irregular peeing like the frequency, odor, color, any dietary or medical changes. Make sure the stylish dog crates are not too big for your dog. It should be large enough so that your dog can stand, sit and sleep comfortably, but it should not be too large that the dog can use a corner to pee in. It is better to practice more toilet breaks. Puppies have under-developed bladders and small dogs have small bladders. Smaller bladders fail to hold pee for a long time; they need to be relieved often. As a result, the dogs end up peeing in their crate. Therefore, small breeds and puppies need more frequent toilet breaks. Be practical with your expectations. Smaller breeds like chihuahua, Pomeranian, Bichon Frise etc. may not hold urine as long as the Labrador, Retriever, Doberman or similar large breed dogs can. Therefore, to some extent, you need to adjust your expectations depending on the breed of your dog. Treats are a fantastic way to train a dog. You can start potty training for your puppy by using treats. When they pee in the right place, you can shower them with a good treat. He will understand that this activity is going to fetch more treats. Thus, they will develop proper toilet habits and stop peeing in stylish dog crates. Take help from Kennel and Crates who offers stylish dog crates for your dog and also provides maintenance tips for them.